Check out this outstanding drag race plot between Ford Mustang vs Audi, breathtaking finish filled with adrenaline ride of these wild machines!! 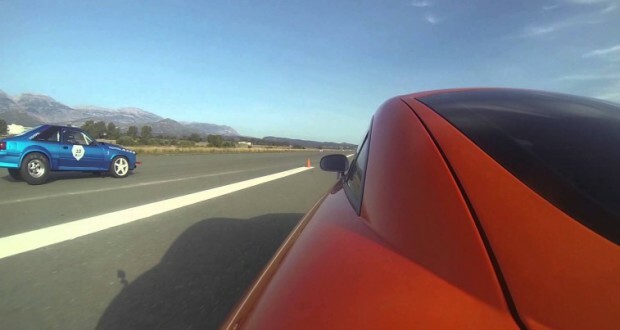 Combination of torque and speed results in a Ford Mustang losing control at the very finish!! Its never safe to drive over 100 MPH this video below will prove it to you, and with a lack of proper safety equipment you could even end up tragically. Was that a case in this wild race you better find out by clicking the video below! Don’t forget to put your seat belt on first!